Zero Dean, doing more laundry at the laundromat by 8:30 am than most people do by 9. I know it’s true because no one is here. James: so possibly everyone else got more laundry done by 7 than you did by 8:30? 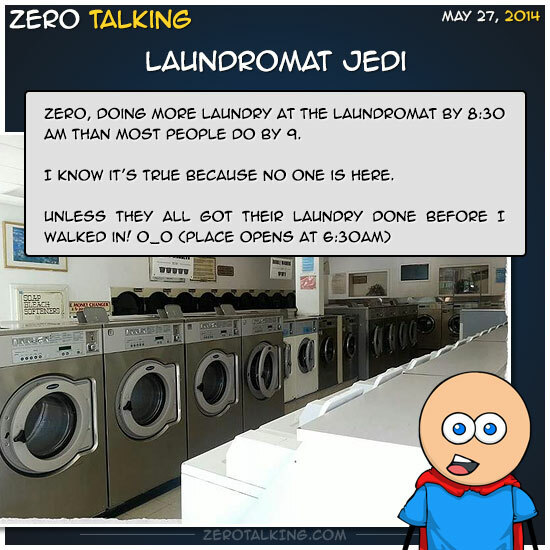 Zero: Those people are laundromat Jedis. Some people have trouble with “Changer #2”, but I didn’t. I read the note and thanked it for cooperating. 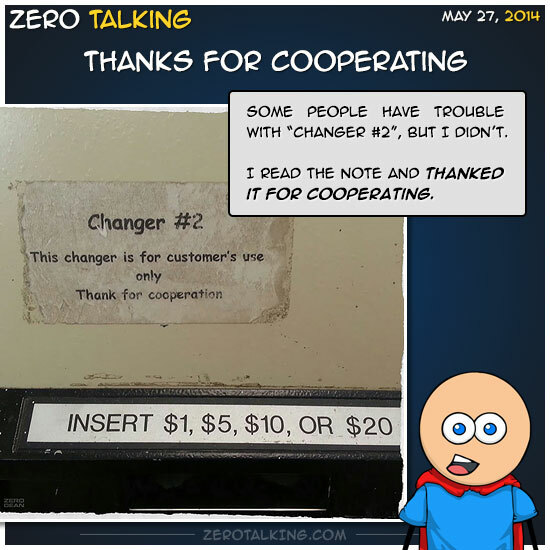 Vik: I think its rather presumptuous of Changer #2 that it thanks you for your cooperation before you give it. Zero: Thanking me? I thought I was being told that in order for cooperation, I should thank it.